During a four-day whirlwind trip, my friend and I managed to take in the best of London on a budget. Here’s how we experienced the city’s history, culture and cuisine without breaking the bank. Considering London’s reputation for high prices, visiting this classy, cosmopolitan city on a dime can seem like a daunting task. One March, my friend Steph and I decided to take on the challenge. We lived in Southern Europe at the time and, faced with a four-day holiday weekend and nowhere to go, picked up a bargain flight to London. We had been traveling quite a bit, so we were a bit skint, as the British say. (Translation: We were low on funds.) But thanks to careful research, we found a number of free or low-cost activities, scored some great deals and hunted down cheap-but-delicious eats. Take advantage of free museums and parks. 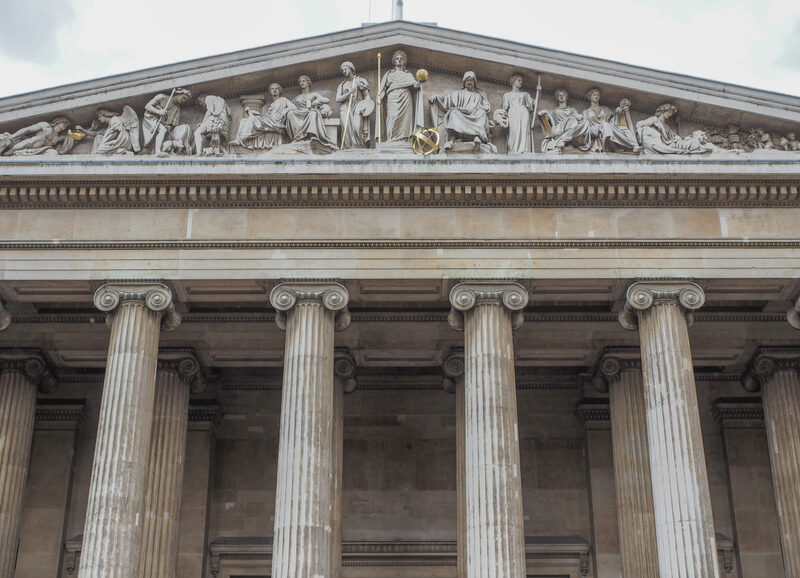 London is rife with culture and history, offering museum lovers enough options to fill an entire trip. Even better: Many of the city’s top museums are free. My favorite was the British Museum, where we marveled at Egyptian mummies, the famed Rosetta Stone and ancient Samurai armor. At the National Gallery, we strolled among priceless works of art, including paintings by Van Gogh, Rembrandt and Monet. We also enjoyed the free admission at the Natural History Museum, the British Library and the Museum of London. The eight Royal Parks of London are also free, and each one offers unique beauty and intrigue. 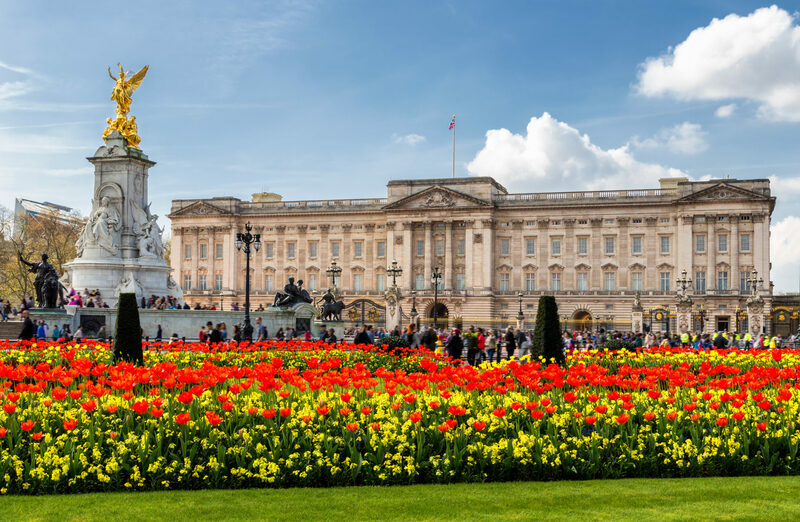 We toured the 350-acre Hyde Park, where we admired the perfectly manicured gardens, circled The Serpentine Lake and marveled at the cascading Diana, Princess of Wales Memorial Fountain — all while sipping steaming lattes from The Lido Café and Bar to keep warm on the chilly spring day. 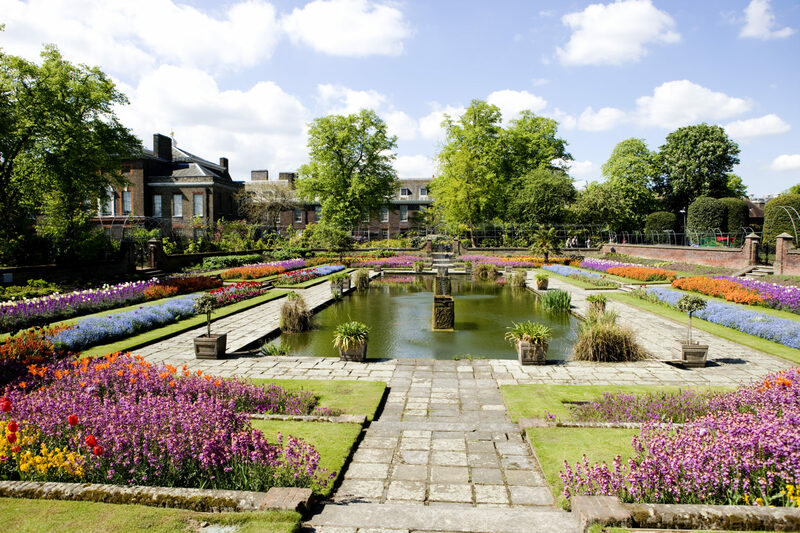 If you’re there in the warmer months, check out the beautiful flowers and fountains at the neighboring Kensington Gardens, which were once private to Kensington Palace. For between £70 and £100, the London Pass gets you free or discounted entry into more than 80 attractions, access to a free hop-on hop-off bus and discounts on public transit. We used the pass to see the Shakespeare Globe Theater, Westminster Abbey, the Tower of London and the Wimbledon grounds. Tour the city on foot. One of the best ways to experience a new place is by walking. On our second full day in the city, we set off on foot to join the throngs watching the changing of the guard at Buckingham Palace. From there, we walked down to the River Thames, where we saw the iconic Westminster Abbey, Houses of Parliament and Big Ben. 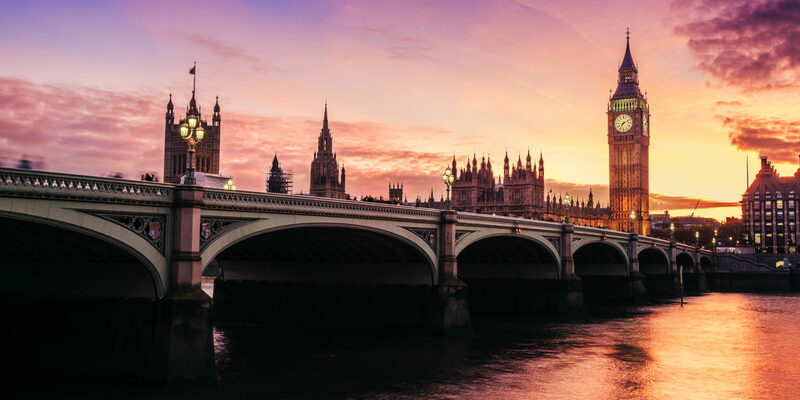 The best vantage point for viewing these classic London sights is from across the Thames, along the riverwalk leading to the (also iconic) London Eye Ferris wheel. This bustling area often hosts festivals and concerts, and it’s also a great spot to enjoy the sunset. Revel in window shopping and vintage deals. We didn’t have much budget for souvenirs, but I happily immersed myself in window shopping the picturesque storefronts. We also stopped by Harrods to wander around the massive, historic luxury department store, which includes 25 restaurants and a Wellness Clinic. Steph didn’t enjoy the window shopping as much as I did — she said it was torture to look without buying — but she perked up once we got to Camden Town, where she found excellent deals on trendy clothing. 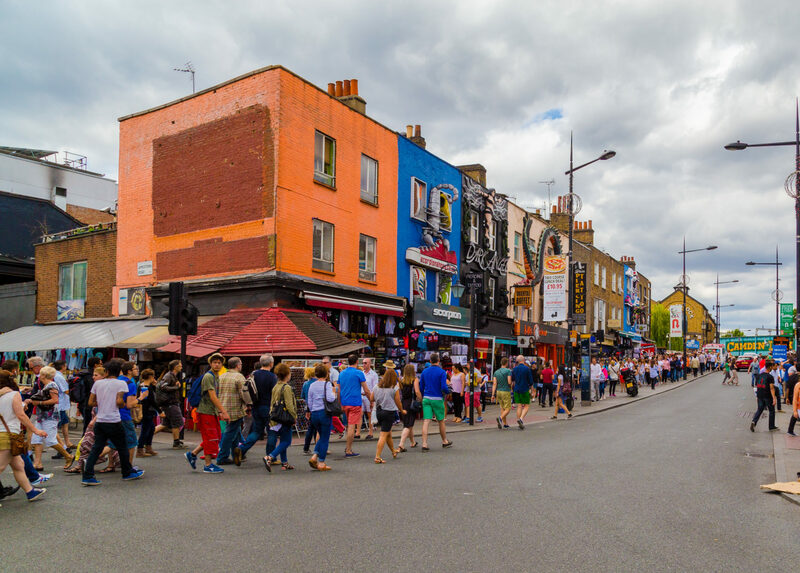 The neighborhood, which is home to Camden Market, is a great place to pick up unique jewelry and vintage garb. Choose cheap eats and discounted theater tickets. 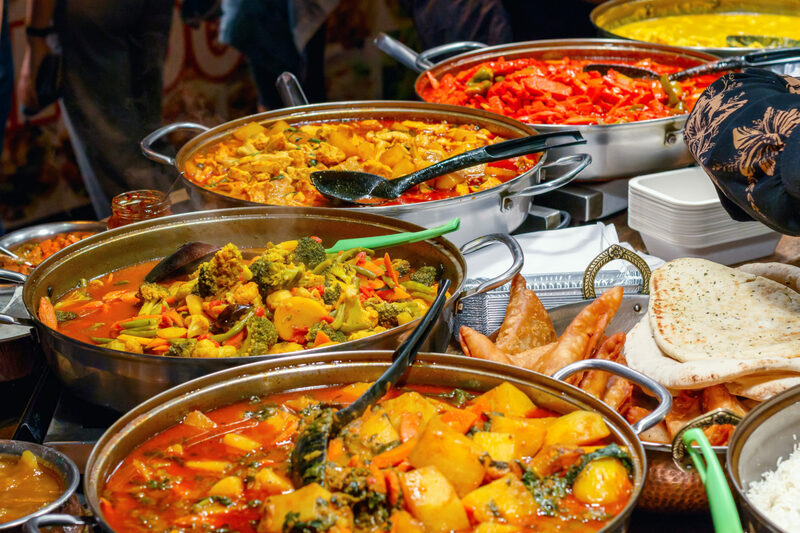 London is one of the best food cities in the world when it comes to international cuisine, and it’s actually quite affordable. We guzzled down crispy roast duck on rice for £8 at Chinatown’s Café TPT and found cheap and plentiful falafel in the Covent Garden area. Second only to fish and chips, London is perhaps most famous for its Indian food, which is ubiquitous in the city. We were keen on Masala Zone, a chain known for its fusion-style curries. One of the best meals we had was at Brasserie Zédel, an underground French restaurant that offers delicious, affordable classics. The fixed menu includes two courses for less than £10! And it doesn’t skimp on style, either. I felt plenty glamourous, thanks to the restaurant’s gorgeous 1920s art deco interior and live jazz music. 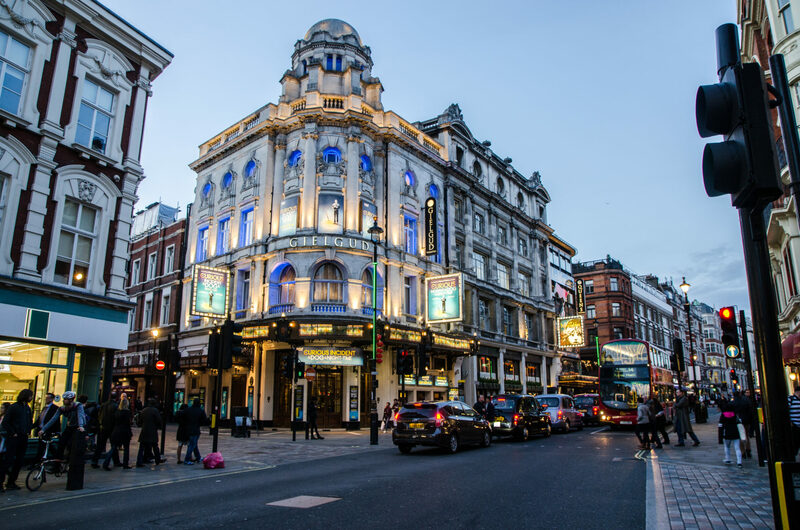 We felt so good about our thrifty adventures that, on our last night, we splurged on tickets to a musical playing at one of London’s West End theaters. Even then, we scored a deal at the TKTS booth in Leicester Square, where you can buy bargain day-of tickets. We left London thrilled to have experienced such a dynamic city without overspending, proving you can go big without going broke. I can’t wait to go back! One thing worth splurging on in London is lodging. Staying near the center of the city is usually more expensive, but the ability to walk to popular attractions is well worth it. Plus, transit in London is expensive, and trips on the Underground or in taxis add up quickly.